​Every tree has a secret inner life. You can guess the age by the height but the real data is locked within the core -- growth rings. Tree Ring Socks show your knitting growth on the outside. This project is an easy way to use two colors in your knitting without having to carry more than one strand at a time. ​Laurelhurst Park is a beautiful patch of nature in the center of a busy neighborhood in Southeast Portland. It’s been named “the most beautiful park” on the west coast by the Pacific Coast Parks Association and was the first park to be listed on the National Register of Historic Places. ​Instead of buying your mom flowers this year, why not knit her some instead? This project is dedicated to the founder of Mother’s Day in America. The Anna Jarvis Socks resemble a basket of flowers but last a lot longer. These are socks you can’t buy at a big box store. By making things by hand, we are able to live richer, more thoughtful lives. ​Having recently read “The Hobbit” I was intrigued by life in the Shire and the luxuries hobbits afford themselves on a daily basis. They love cake! These socks are meant as a celebration to honor the January 3rd, 1892 birth of J. R. R. Tolkien, creator of all things Hobbit. There is a bonus crossword puzzle at the end of this pattern to commemorate Tolkien in an unconventional way. You cut out the puzzle and twist it into a möbius strip before solving, like an infinity ring. Come, let’s sit and enjoy the Hobbit Cakes together, shall we? 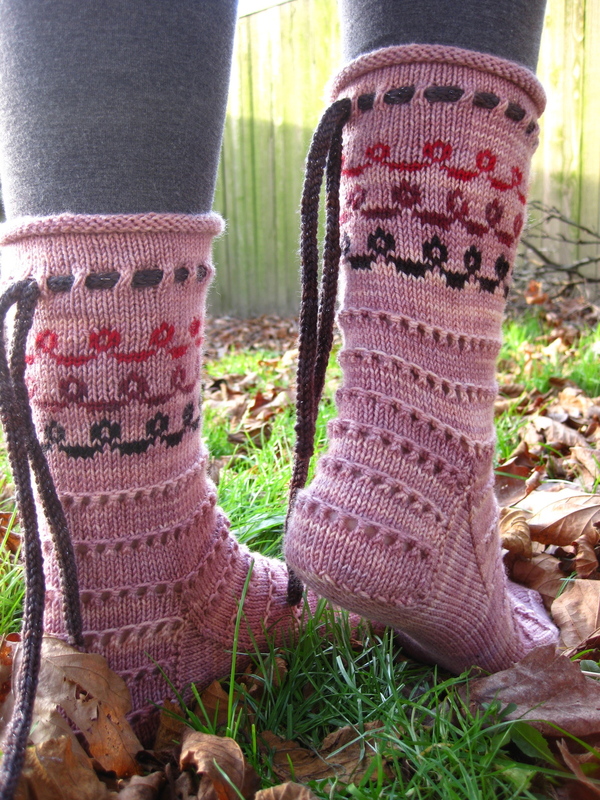 This sock pattern by Star Athena is one of five sock patterns available in the Spring 2011 issue of Sockupied, the new digital eMag from Interweave. Start at the toe and knit on up to the top… then hang a left turn and work the cuff sideways. Slipped stitches and unfussy lace pair with garter stitch to create a graphic design reminiscent of grapevines. The cuff is worked mostly in garter stitch, which produces nicely snug and elastic socks. Included in the eMag is a video tutorial by Eunny Jang on the sideways cuff technique. ​These socks pay tribute to the time of harvest, the culmination of a thousand tiny miracles that embody the growing season. Earthworms work the soil at your feet, restoring the biological dross of previous years to the promise of new life. A leafy stalk, heavy with fruit, bursts from the gusset on top of your foot; there to dry in the waning summer sun, in anticipation of the approaching harvest. 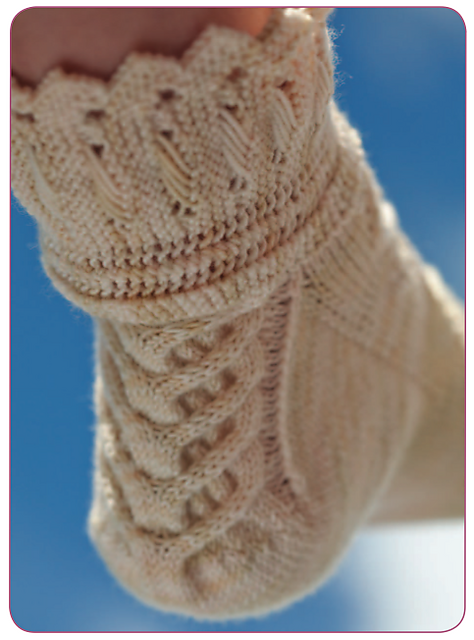 Sow your stitches carefully and prepare to reap a beautiful pair of hand-knit socks…and the cycle of life continues.